Come and see 19 Jabiru Drive Mango Hill as photos don’t do this property justice. This homes layout flows perfectly as you walk through with 3 bedrooms to one side, and main bedroom, parents retreat to the right. Huge open plan living with renovated kitchen and massive covered patio overlooking your inground pool and lake views! This property is situated on a large private block and consists of four bedrooms, two bathrooms, double garage and two separate living areas. Outside is perfect for entertaining in rain hail or shine without being affected by our random Brisbane weather! Situated in the stunning community of Mango Hill within walking distance to local shops and restaurants, Mango Hill train station, medical facilities, day cares and Mango Hill Tavern all within a 1.3km radius. Westfield North Lakes shopping centre is also a close 2.1km distance away. * High end perfectly designed kitchen with top of the range appliances including Falcon Classic 90 oven, Baumatic dishwasher and electric cooking. Island bench doubles as a breakfast bar. Ample cupboard space and large fridge cavity. * Main bathroom with separate bath to shower. This home has been meticulously renovated and is ready for it’s new owner to move straight in and relax. 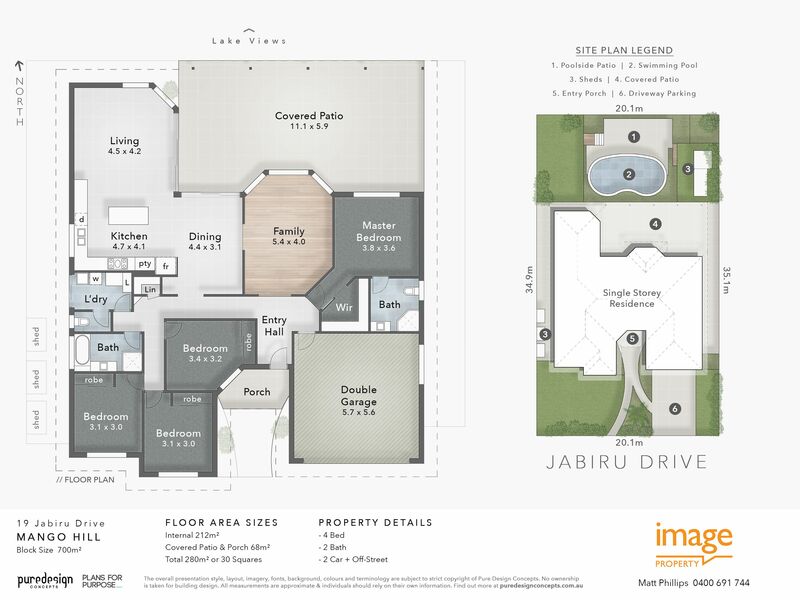 Contact me anytime to discuss 19 Jabiru Drive, Mango Hill and I look forward to seeing you at the property!